To assist in making a diagnosis, there are often a number of tests and diagnostic procedures that are involved, as no one single test can produce a definitive diagnosis. 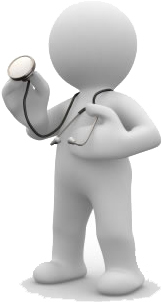 Doctors are often required to piece together the information from the various different tests, along with the patient’s symptoms and medical history in order to make their diagnosis and commence with the appropriate treatment plan. An endoscope (a thin tube with a light inside) is inserted into the body via the mouth and down the oesophagus into the stomach and first part of the small intestine (duodenum). From here a small tube (catheter) is passed into the ducts and an x-ray is taken. The bile ducts can be unblocked during this procedure if required. The small tube may be left in place to keep the duct open or, if necessary, a biopsy can also be taken for assessment under the microscope. Usually the patient will be required to fast for 6 hours prior to the procedure, and a sedative is given to help them relax along with some local anaesthetic which is sprayed on to the back of the throat. A blood test may be required to test for the tumour marker known as CA19-9. CA19-9 is elevated in the blood of 50-75% of individuals with pancreatic cancer. By measuring the level of CA19-9 in the blood, it can assist with making the initial diagnosis of pancreatic cancer and is more useful down the track in measuring the effectiveness of treatment. CA19-9 is almost always used in conjunction with other diagnostic tests and imaging, as it is not always considered completely specific. A CT scan is a series of x-rays, which builds a detailed three-dimensional picture of areas inside the body. It is most often used in the initial stages of diagnosis and is an extremely effective imaging technique that not only can detect abnormal growth in the pancreas, such as primary tumours but is also useful in detecting if the cancer has spread to nearby lymph nodes. 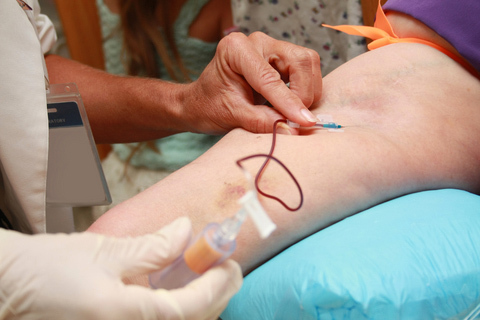 If necessary, a dye may be injected into a vein, or swallowed, to help the organs or surrounding tissues show up more clearly in the scan. It is a painless procedure that takes around 10-30 minutes to complete. It uses a small amount of radiation, which is unlikely to cause any harm. Usually the patient will need to fast for at least 4 hours prior to having the scan. CT scans may also be used to guide a biopsy, where a small amount of tissue is taken from the patient and is then examined under a microscope. This is a procedure used to x-ray the pancreatic and bile ducts. Pancreatic cancer can cause these ducts to become blocked, which in the case of the bile duct can cause the flow of bile to slow or even stop, resulting in jaundice. This is a surgical procedure used to take a look at the area of the pancreas in order to assess whether or not an operation is possible to remove the cancer. A small incision is made in the skin just near the navel and a thin fibre-optic tube known as a laparoscope is inserted into the abdomen. This allows the doctor to examine the area and if necessary take a sample of the tissue (biopsy) for further examination under the microscope. Often a laparoscopy is carried out under the guidance of an ultrasound to ensure that the laparoscope is in the correct position. This procedure is usually done under a general anaesthetic and may require a short stay in hospital. This is a method used to take a biopsy, whereby a small piece of tissue or some cells are obtained for further examination under a microscope. This enables the doctor to get a clearer understanding of the nature of the pancreatic tumour. A fine needle is inserted into the pancreas, under the guidance of an ultrasound or CT scan and the sample of tissue is taken. The diagnosis of pancreatic tumour based on a FNA is usually very accurate. This procedure may be done using either a local or general anaesthetic. This procedure is similar to a CT scan but instead of using x-rays to build cross-sectional pictures of the body, it uses a magnet, radio waves and a computer to make a series of detailed images of inside the body. During the procedure the patient lies very still on a bench that slides into a long chamber, where the images are taken. Sometimes a dye may need to be injected into a vein to improve the quality of the image. There is a fairly powerful magnet inside the scanner, so before entering the room you will need to remove any belongings that contain metal. People with pacemakers, or surgical plates or clips cannot have an MRI. This is a procedure used to find malignant tumour cells in the body. This is done by injecting a small amount of radionuclide glucose (sugar) into a vein. The PET scanner then rotates around the body and produces a picture of where the glucose is being used in the body. As malignant tumour cells are more metabolically active they take up more glucose than normal cells, and therefore show up brighter in the picture. A PET scan is not only useful in early diagnosis, but can also detect if the cancer has spread to other organs. The risks associated with a PET scan are minimal, as the amount of radiation is low and the radionuclide glucose degrades quickly, so that no detectable radioactivity is present in the body several hours after the procedure. 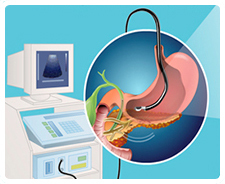 Endoscopic ultrasound is a minimally invasive procedure that produces detailed images of organs such as the pancreas. Blood tests are used to detect tumour markers. CT scans are series of x-rays taken at different angles that give detailed pictures of internal organs. MRI is a advanced technology used to take a series of high resolution medical images.